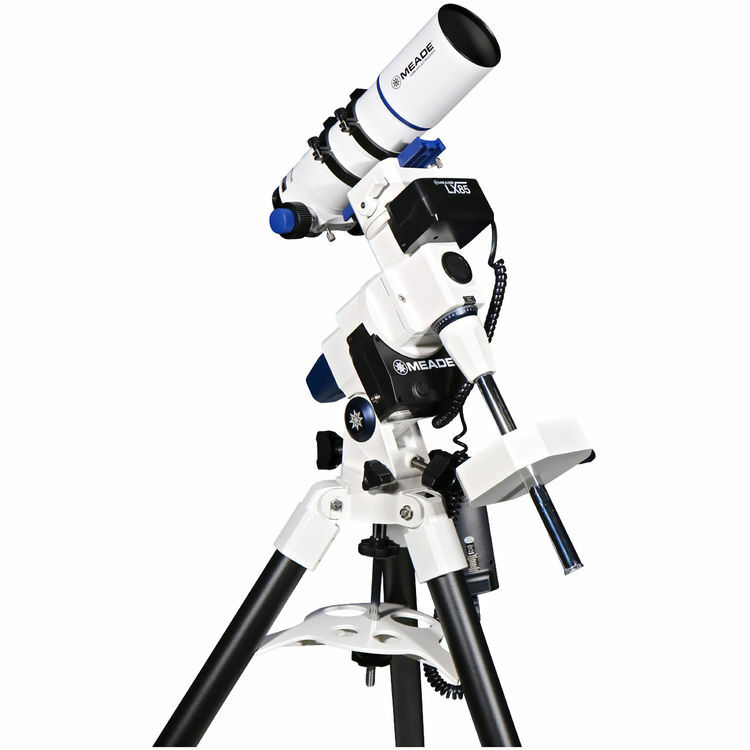 Engineered and optimized for astrophotography use, the Meade Instruments LX85 70mm f/5 APO Refractor Astrograph GoTo EQ Telescope combines multiple optical technologies with the precision tracking of a computer-controlled motorized equatorial mount to produce a purpose-built imaging rig. 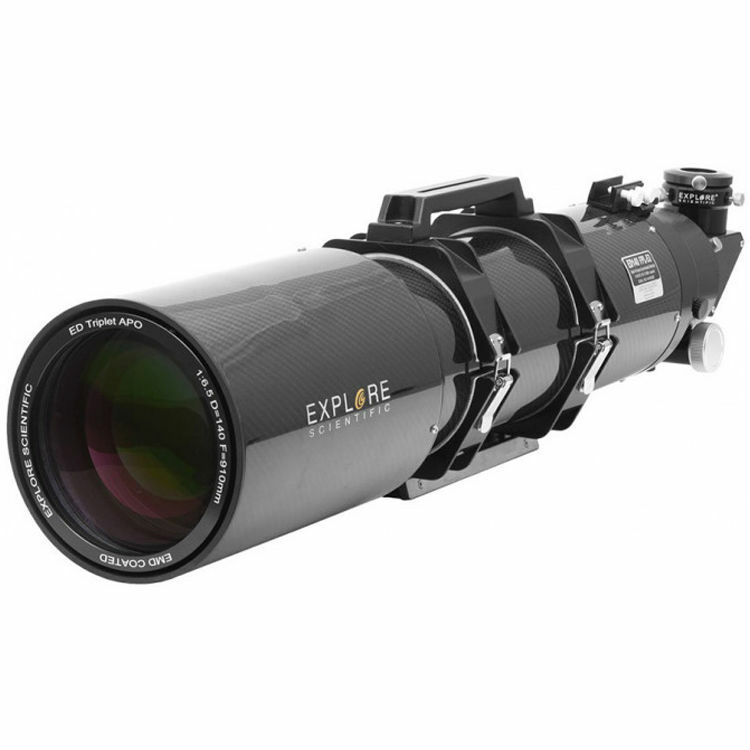 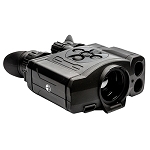 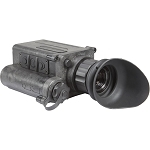 The optical tube assembly (OTA) is built to deliver exceptional image quality through the use of a four-element Petzval lens system that virtually eliminates chromatic aberrations, and off-axis comas and color fringing are further corrected through the use of FPL-53 extremely low-dispersion glass and anti-reflection fully multi-coated optics. 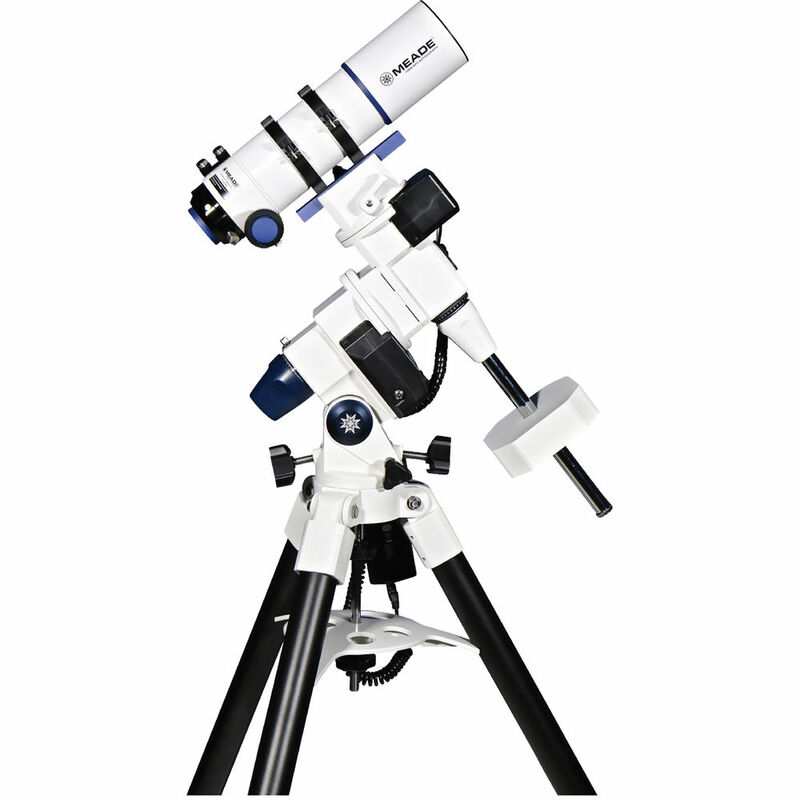 The resulting views are color-accurate as well as crisp and sharp with almost no distortion across the entire field of view. 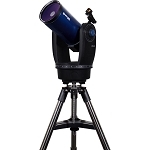 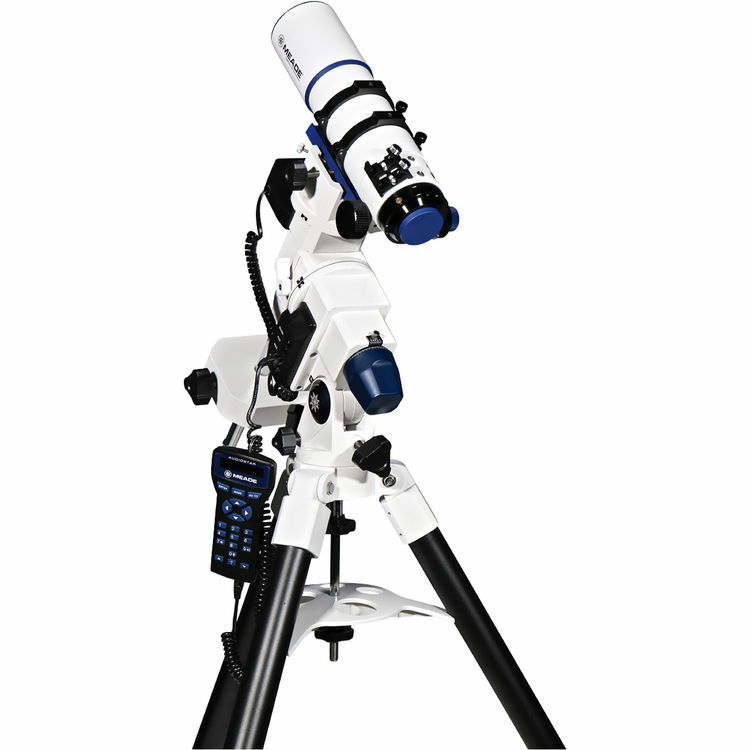 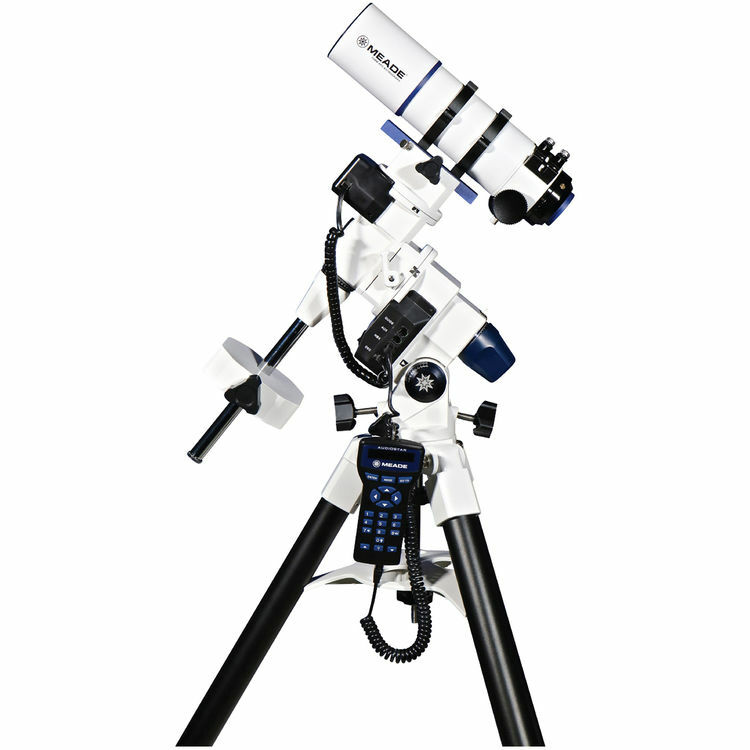 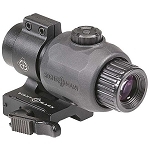 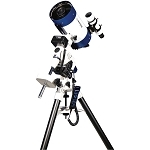 Added to this already impressive performance is a sturdy two-speed rack-and-pinion focuser that can carry heavy loads without flexing, which terminates with threads for the direct connection of astrophotography gear.